Michael Robinson didn't expect to become a hero. The Venture Capital veteran and Pulitzer-prize nominated writer was content working alongside the biggest names in Silicon Valley. In fact, he was one of five people involved in early meetings for the $160 billion “cloud” computing phenomenon. He was there as Lee Iacocca and Roger Smith, the CEOs of Chrysler and GM, led the robotics revolution that saved the U.S. automotive industry. And as cyber-security was becoming a focus of national security, Michael was with Dave DeWalt, the CEO of McAfee, right before Intel acquired his company for $7.8 billion. Michael Robinson can so consistently spot winning technology stocks because he is the consummate insider, with a “platinum Rolodex” filled with the leading names in science, technology, and venture capital. Today, technology has given rise to a radically different kind of market – one where a single profitable investment points you like an arrow toward another, which points you toward yet another… and on and on. This explosion of tech-driven profit opportunities is now available because, unlike every other sector in the market, the technology sector has become fundamentally connected. You see this fortune-making symbiosis at work in biotechnology. There, big data computing lets scientists design miracle materials like synthetic DNA to invent universal vaccines… then lets them use big data again to pinpoint which of those vaccines will save the most lives. You see it at work again when advanced sensors called MEMS relay all that medical data to The Cloud, so doctors and patients can stay connected and doctors can prescribe real-time treatments to patients. Because so many tech segments – biotech, big data, sensors, miracle materials – are so entangled, a profit-making breakthrough in one should lead the smart investor to expect a profit-making breakthrough in all the others. The smart investor would not be disappointed. Today technology is creating technology in a kaleidoscope of massive profit opportunities. Michael Robinson has identified seven of the fastest-moving and most deeply connected technologies in the world. 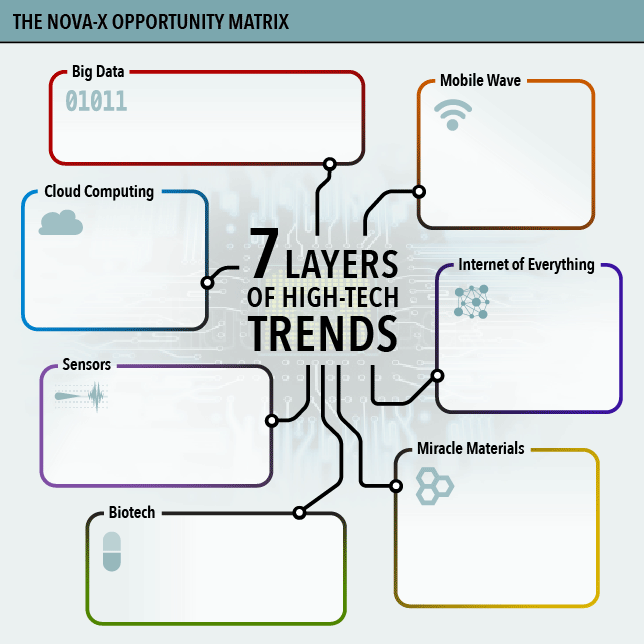 He calls these seven trends The Opportunity Matrix. Any one of these trends could form the cornerstone of a fortune by itself. As a connected whole, today they are unleashing more than $7 trillion in new, tech-driven wealth. This new, connected market can seem confusing to some people. How can you know which breakthrough vaccine will hit the market soonest? Or which semiconductor play today offers the safest and highest returns? What's more, the biggest profit opportunities in the Opportunity Matrix will be found with companies most investors have never even heard of. That's where Nova-X Report comes in. Michael Robinson has spent more than 35 years in labs and board rooms throughout Silicon Valley, and no one knows technology companies – knows their products and leaders, their strategies and fundamental strengths – better than Michael. Which is why, when the entire defense industry was recently feeling the pinch from wholesale budget cuts, Michael surprised everyone by recommending Kratos Defense & Security Solutions Inc. The San Diego-based Kratos is a small-cap leader involved in complex gear for satellite communications, drones, electronic warfare, surveillance systems, radar jammers, and ballistic-missile defense. But Michael knew, based on his private meetings with CEO Eric DeMarco, that the Pentagon was unlikely to cancel the contracts the company had on its books. This was because, thanks to fees written into their contracts, cancellation actually costs the government more than fulfillment. 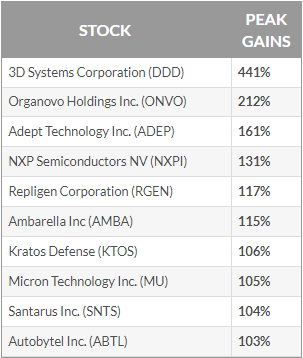 Less than a year after Michael recommended Kratos, the stock was up 106%. Or take what happened with Adept Technologies. At the time Michael recommended it, this small-cap robotics firm had lost its CEO, and was in disarray. Most investors had written Adept off as unfixable, but Michael knew better. His years in the tech trenches had given him an expert's ability to spot first-rate management. So when Adept tapped turnaround specialist Rob Cain to be its new CEO, Michael knew he was just the person to fix Adept's financials and guide the firm into high-growth areas, such as the new market for mobile robots. These are the kinds of profits you can expect from Nova-X Report. In fact, Michael is so sharp that his readers are frequently able to get more than one block of profits from a single opportunity. For instance, he recently recommended AutoBytel, which provides market research on automotive trends. 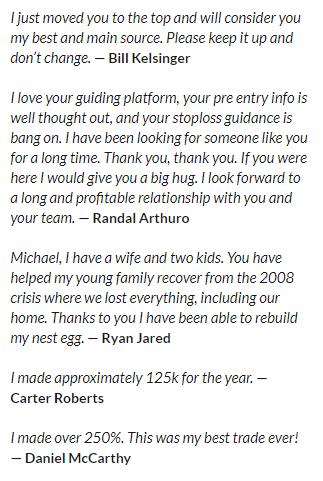 Barely 107 days after entering the trade, Michael recommended cashing in one block for a 103% gain. A second block closed out later for a 50% profit. In each monthly Nova-X Report, Michael Robinson reveals two new opportunities that have come to light based on his research and his dealings with the most revolutionary minds in technology and tech investing. Foundational Plays – These are big-cap innovators and stable growth-oriented companies. Nova Growth – Here you'll find small- to mid-cap visionaries, rare and nimble companies Michael expects to appreciate 100% or more over the next 12 months or so. Special Situations – These are unique opportunities like penny-stock biotechs and turnaround plays that carry extra risk, but require immediate action, since they give us an excellent chance to make oversized profits. Each recommendation will spell out the size of the position you should take. If Michael believes a position needs time to pan out, or he wants to allow room for you to add to your position at a discount… he'll employ a split entry with a “low-ball” order. To protect against losses, Michael frequently employs a 20-25% trailing stop. To make sure you never overpay for a stock, he'll also give the highest price you should pay to get into a position. Each week, Michael will send you a complete Portfolio Update via email. These updates include company highlights, overall portfolio performance, trailing stop adjustments, and even “special situation” buy recommendations. Nova-X Report puts you directly in touch with high tech research, analysis, stock picks and strategies that can double, triple, even quadruple your retirement savings faster than any other sector on earth. Ignore the hype and choose companies that offer real growth. Silicon Valley tech analyst Michael A. Robinson is perfectly positioned to seek out these technologies months – even years – before they hit the mainstream. The Nova-X Portfolio focusses on stocks with a clear “catalyst” in place – anything that can ignite a stock’s shares and send them soaring. Currently, 15 of 18 open positions in Nova-X Report portfolio are profitable – an 83% win rate. Go here for immediate access to the Nova-X portfolio. Each week with Nova-X you’ll receive a full and detailed portfolio summary, that reviews each position in the portfolio, including a full review of all profits to date, stop losses, and position sizes. Go here for immediate access to Nova-X Portfolio Updates. Every month Michael Robinson prepares an intelligence briefing that reveals the biggest tech stories and innovations he’s uncovered from his investigations. Currently, 15 of 18 open positions in Nova-X Report portfolioare profitable – an 83% win rate. Go here for immediate access to previous issues of Nova-X Report. The Nova-X library includes special reports, audio and video tutorials, and Michael’s recorded interviews with CEOs and Silicon Valley insiders. Go here for immediate access to Nova-X Research Reports and Investor Briefings. Although Michael sends out frequent Nova-X Report weekly briefings and updates from time to time he prefers more direct contact with subscribers. Whenever Michael feels that the time has come to review the portfolio in detail… or present an in-depth run down on a fast-moving tech investment… or to answer any pressing questions you might have… then he’ll announce a special Nova-X Report conference call. You’ll also receive Michael’s video interviews with CEOs and executives. This way you can get the inside scoop, straight from the source. Go here for immediate access to Nova-X Report Media.